Whether your wedding is to be one big day in a grand hotel or a weekend in the South of France, your guests will need to know where to be, when, and how to get there. 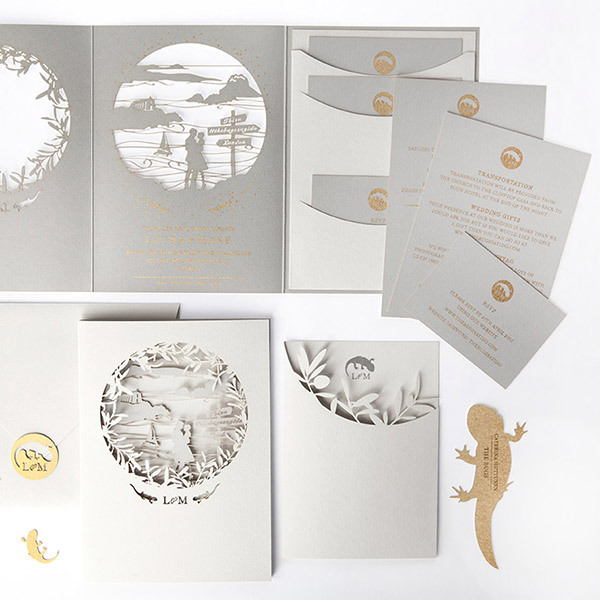 The details can become a charming and interactive part of your invitations, and our designers will find the best method to suit your needs. This could be removable information cards, a fold-out map or a bound booklet, even your own website, but whichever you choose, here are our recommendations of what to consider for their content. Nearby transport links and parking details. for example numbers of taxi companies. Details of any provided or recommended accommodation, and any booking references. (when it’s time to go home). Gift list or information on gift giving. Whether children are welcome to attend or not. Contact information for before and on the day. Link to your wedding website. Details of where guests can post photos of the day. 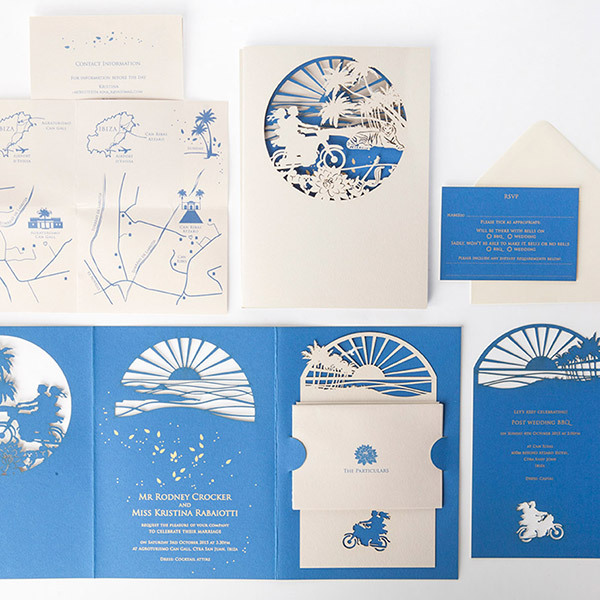 Once they have admired your unique stationery, your guests will need some way of letting you know whether they will be joyfully accepting, or regretfully declining your invitation. 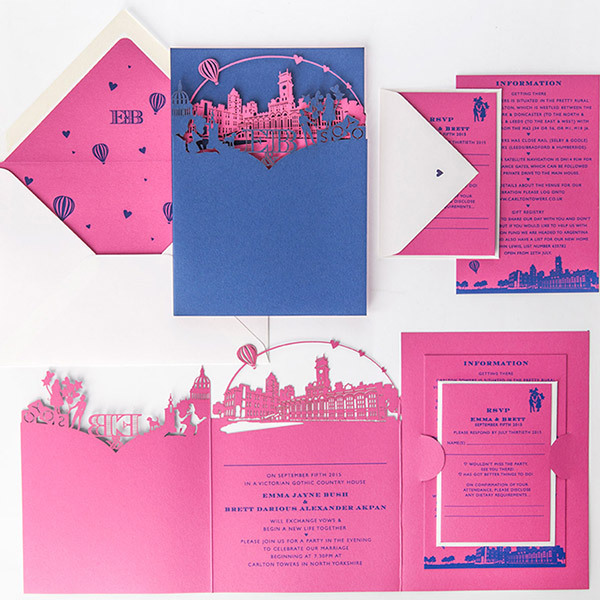 Many couples choose to direct their guests to a wedding website or email address by which to do this, but within the particulars of your invitation, it is also optional to include an RSVP card for them to fill in and return. Option to attend/not attend the wedding. Option to attend/not attend the reception. Option to accept/decline offers of transportation. Option to accept/decline offers of accommodation. Preference for meat/fish/vegetarian food on the day. Space to include any special dietary requirements. An address to return replies to, if not on the RSVP envelope. An email address or website to reply via, if not by post. 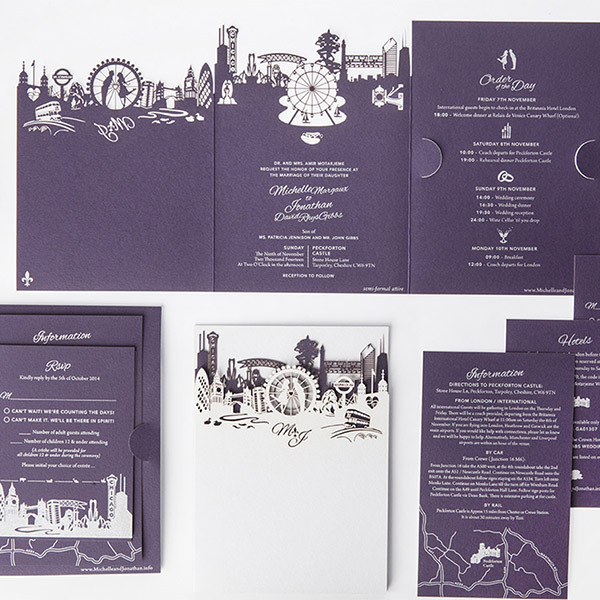 You can make this an opportunity for some fun graphics, some people add humour to their RSVP cards, others keep it very traditional, as ever it is entirely up to you!